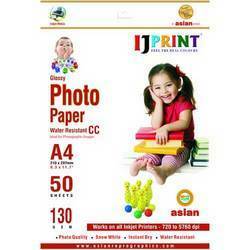 Manufacturer of a wide range of products which include inkjet cc coated photo glossy paper, satin matte photo glossy paper, rc coated photo glossy paper, matte coated paper, cd sticker paper and inkjet photo glossy papers. Water Resistant & Long Life of Prints. 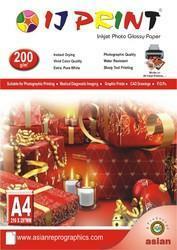 RC Glossy - which offers excellent glare and finish thereby making it suitable for photo printing. 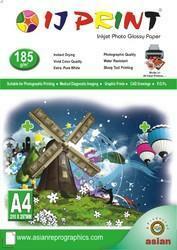 Paper Size 24" and 36"
We are popular among our clients for offering premium range of Inkjet Photo Glossy Papers. It provides improves light stability when used in combination with pigmented ink. 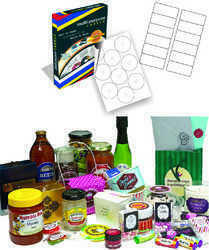 Our range has high whiteness properties. 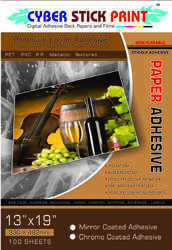 This is a true base paper for offering excellent handling, stability and lamination properties. 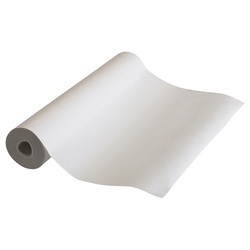 These are available in rolls and cut sheets. These are wounded on 2” Paper Core - 24, 36, x 50 mts. 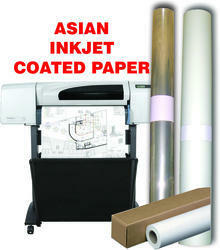 Looking for Inkjet Imaging Media ?